Well, it’s finally happening. The Hollywood Reporter says that Stephen Daldry, the Oscar-nominated director behind Billy Elliot and The Hours, is in early talks to direct and develop a script about Jedi master Obi-Wan Kenobi. Ewan McGregor, however, is not yet attached. Disney would not offer a comment. This has long been a film fans have been clamoring for, even though the adventures of Obi-Wan Kenobi between Episode III and IV have actually been explored recently in the comics and on Rebels. And though McGregor isn’t part of the movie yet, he has said time and time again it’s something he wants to do. If Lucasfilm and Daldry want him, it’s a good bet he’ll turn on that lightsaber again. Again, this is all in very early stages. Star Wars films are on the schedule for the next three years, with The Last Jedi in December, the Han Solo movie in May 2018, and then Episode IX in May 2019. And though the CEO of Disney, Bob Iger, has said Lucasfilm was developing a standalone movie for 2020—which most people assumed would be about Obi-Wan anyway—this is the first acknowledgement that something along those lines is really happening. BUT, to be fair, we don’t 100 percent know it’ll be the next film. Common sense just dictates it is, since they are in the process of hiring a director and writer. Update: We’ve updated with Disney’s “no comment” plus, though we think Obi-Wan will be the next standalone movie, Variety says it may not be, so we removed that from the headline. 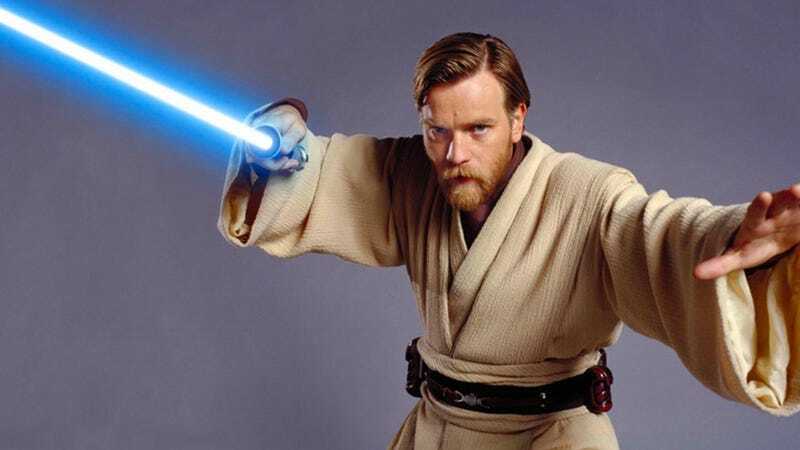 Do We Really Need an Obi-Wan Kenobi Standalone Movie?